One of the strengths of a small liberal arts college is its opportunity to provide students with educational experiences that extend beyond the classroom. It has been these encounters, together with a campus atmosphere conducive to individual development, which have propelled many Roanoke College students to great achievements after graduation. Henry Fowler is a prime example of a highly motivated student who used his broad-based, liberal arts background as a springboard to graduate studies at one of the nation's finest universities and later to a challenging career that brought him to the forefront of American political and international commercial life. 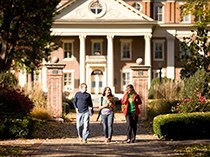 To help guarantee that future generations of Roanoke College students will have the opportunity for study and growth in a personalized atmosphere, Mr. Fowler, friends of the Fowler family and the College have provided an endowment which sponsors educational appearances by public officials, business and industrial leaders, and university scholars. This program affords Roanoke College students an exposure to national and international leaders in a relaxed setting where frankness and discussion are possible. The program exposes students to leaders at various levels of public service, but also serves as a forum for the discussion of proposals that have not yet become public policy. The central emphasis for the program is, however, the rich supplement to the classroom that occurs when young thinkers can exchange views on important public issues with scholar-practitioners. The program provides a biannual balance of viewpoints-right, left and center- in its scheduling. The Fowler Program makes available to all students an increased appreciation of the interaction between government, business, and other important private-sector elements in a free and effective society. 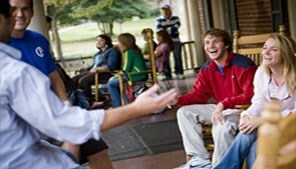 It also provides majors in the social sciences and business with a richer background for determining career objectives, including whether and how Roanoke's undergraduate students might pursue post-graduate studies in specialized schools of public administration or policy analysis, business administration, law, and other fields of public service. Fowler professors are in residence at Roanoke for periods of time that vary from a few days to an academic year. The length of stay depends on the nature of the responsibilities asked of the visiting professor. Each professor spends time teaching in a host department and providing guest lectures in other academic subjects. Some professors may engage in research or study, participate in community discussions, or offer lectures throughout the western Virginia region. The Public Affairs Lecture Series has been supported by Goldman Sachs International Corporation of New York, the Brown Foundation of Texas, and the friends of Henry H. Fowler, and Roanoke College. Occasional scholarly papers and transcripts developed by Fowler scholars are published or distributed by the College. A collection of videotapes of all Fowler public lectures is available in the College's Fintel Library.